The publishing house that Felix Kuehn and I set up has two new books out. The first of these is called An Undesirable Element: An Afghan Memoir and it tells the story of Sharif Fayez, the man responsible for much of the progress seen in Afghan higher education since 2001. The book also includes a lot from the 1980s jihad and pre-Taliban periods where the author was forced to leave the country -- fleeing to Iran before heading for the United States. This is an extremely readable book, and the story has a fast pace to it. It's important to keep these Afghan voices and Afghan narratives in mind whenever thinking about the country. Amidst the plethora of commentary on Afghanistan written by foreigners it is easy to forget that Afghans understand their country best. Multiple 'understandings' exist, to be sure, but a failure to privilege the lived experiences makes useful intervention and hamkari much harder. "An Undesirable Element is a fascinating tour through the tumultuous years that helped create modern Afghanistan. Fayez survived Soviet Afghanistan and revolutionary Iran, only to find himself watching from exile as his country devoured itself. Improbably, he returns after 2001 to help resurrect Afghanistan's devastated higher education system, giving an insider account of the challenges of building education in a land dominated by warlords and fundamentalism. The result is a poignant reminder of how much Afghanistan has endured, and the flicker of hope that remains despite it all." 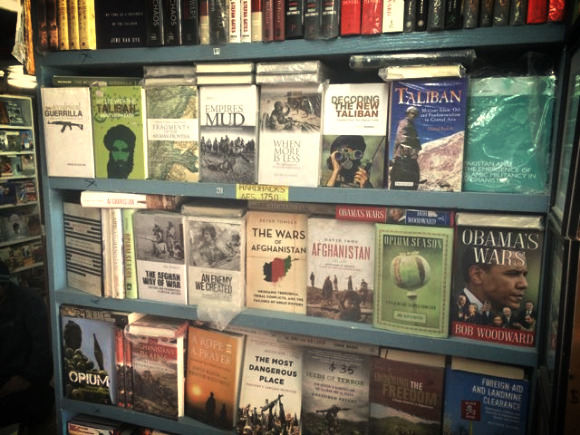 "A compelling read, An Undesirable Element recounts an Afghanistan many have forgotten. It serves as a rallying cry to once again imagine all that country might be. It's a tale as extraordinary as the land from which it comes." "An Undesirable Element moves fast as flames and offers a luminous account of the last half century of Afghan conflicts and redevelopment. Trevithick's oral history of Sharif Fayez's story is a trove: from a kiss on the head by the Afghan former King Zahir Shah, Fayez's life intersected with the future leaders and quiet supporters of his country--both heroic and tyrannical--from Columbia University to a Post-revolutionary University in Mashad, Iran. Fayez is a modest but robust storyteller whose eventual position as Afghanistan's first Minister of Education after the Taliban is only one of the strange twists and turns his story offers. His deft handling in the rebuilding of Afghanistan should be read by anyone interested in how one can use patience and determination to bring hope to a country reduced to rubble." "The term visionary tends to be misapplied to those who are merely headstrong. But it is a perfectly apt description for Sharif Fayez, the most important figure in education in 21st-century Afghanistan, yet one that history may have neglected without his memoir. Such an omission would have deprived future generations of Afghans from understanding how Fayez, perhaps more than any single person, created hope for the country’s young minds at the turn of the millennium and, in so doing, altered a nation's destiny."